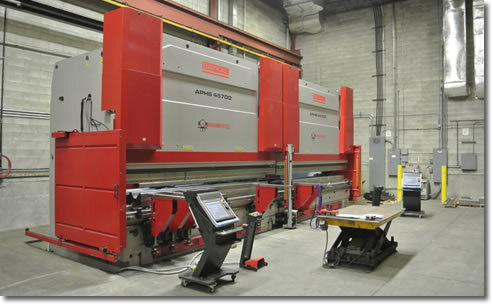 BRANNON STEEL has expanded capacity and capability to meet customer demand for BIG workpieces! 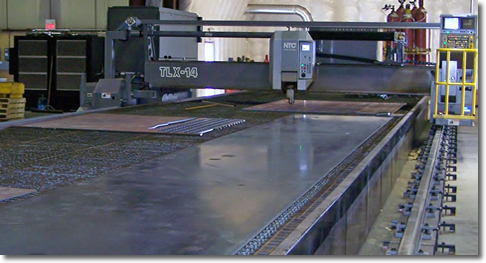 The 7000 Watt NTC-TLX Laser on a 14’ X 50’ table has the ability to cut up to 1” thick carbon steel to meet your tight tolerance requirements. Our two new 750 Ton BAYKAL Hydraulic Press Brakes can be operated independently or in tandem to provide 1500 tons of capacity and bend workpieces up to 30 feet in length. These technologically advanced machines assure maximum accuracy and repeatability. BRANNON STEEL is one of North America’s leading providers of carbon steel parts and services. Since its founding in 1968, the company has maintained a place at the forefront of the industry by investing in new equipment, technology and a highly-skilled workforce. BRANNON STEEL is registered to the ISO 9001:2008 quality standard and the ISO 14000:2004 environmental standard. BRANNON STEEL is a one-stop shop for OEMS and Metal Fabricators. We manufacture superior carbon steel parts, taking you from print to part as efficiently as possible while adding value every step of the way.